This Juicy Lucy burger is stuffed with not one, but four types of cheese. You're welcome. 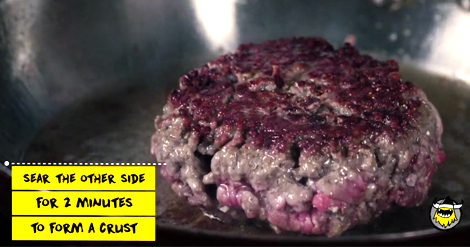 The typical American cheese-stuffed Juicy Lucy burger gets us extremely worked up. 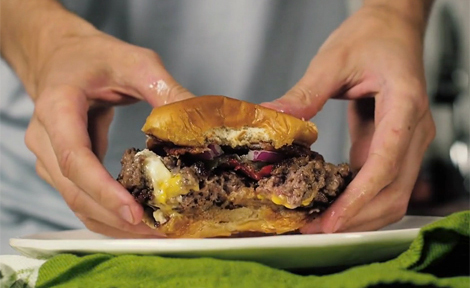 But what if you made a Juicy Lucy stuffed with not one, but four different types of cheese? This curd-ducken burger is inspired by our favorite over-the-top holiday roast, the turducken, which consists of a deboned chicken stuffed into a deboned duck, which is in turn stuffed into a deboned turkey. Being the culinary free thinkers that we are, we took blue cheese crumbles and wrapped them mozz, then wrapped that whole situation in provolone and cheddar and stuffed it into a beef burger patty. 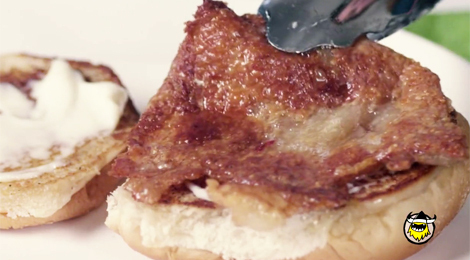 Next, we cooked the patty in duck fat, then topped it with a piece of crispy duck skin. You’re welcome. 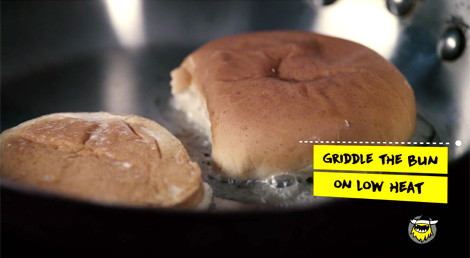 Watch the full clip to get the curd-ducken burger recipe and witness mash-up history being made. 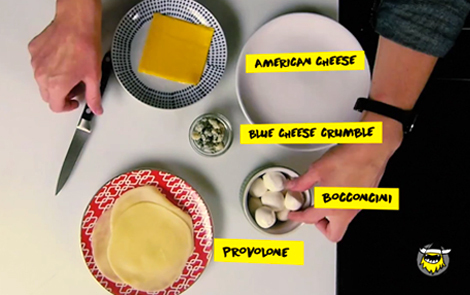 Fill a ball of mozzarella with crumbles of blue cheese, then wrap cheddar around that and provolone around that. 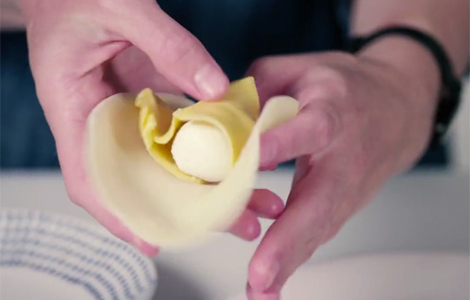 Place the ball on a plate, seam-side down so it doesn’t unravel. Combine the meat with parm, Worcestershire, salt, pepper. Without overworking, mix together. Gather up some meat, flatten slightly, and shape around the bottom of the cheese ball. Gather up more meat, flatten, and sandwich on top. Press the sides together to seal and shape into a patty that’s a little large than the bun. Place a skillet over medium-low heat and let it warm up. Butter the cut sides of the bun. Toast, cut sides down, until golden, about 2 minutes. Set on plate. Spread with mayo. Place skin in pan and cook til it’s crispy and the fat has rendered. Leave the fat in the pan and add the rest of the duck fat. Turn the heat to high and heat until the fat smokes. Add the burger and sear until the bottom forms a crust, 2 minutes. Flip, and sear the second side, about 2 minutes. Place directly on bun. Top the burger with slices of onion, the roasted tomatoes, pickle, and duck skin. Put on top half. Eat.